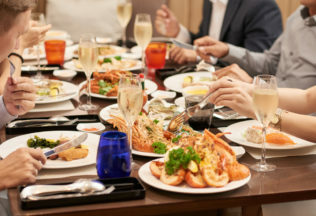 THE seafood industry wants country of origin labelling protections extended to menus in foodservice industry places like restaurants, cafes, pubs, clubs and fish and chip shops. Australian this week gained greater certainty about the origins of the food they buy as the mandatory compliance period of country of origin food labelling began. See the link to our story below. Seafood Industry Australia (SIA) CEO Jane Lovell said country of origin labelling for retail is only half of the story. “The new laws don’t apply food sold in places like restaurants, cafes, pubs, clubs and fish and chip shops. We want to see these labelling laws extended to foodservice,” Ms Lovell said. “At the supermarket and when you buy fresh fish, by law, all seafood has to be labelled with its country of origin. “But, when you go out to dine, there is no obligation to label where the seafood you are about to order and eat comes from. • Two Senate inquiries have called for this loophole to be closed. • 86,000 consumers signed petitions asking for Country of Origin Labelling to become compulsory for seafood sold in the foodservice industry. 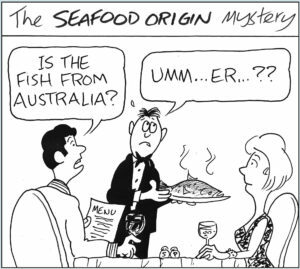 • The NT has since 2008 had country of origin Labelling for cooked and pre-prepared seafood in the foodservice industry. 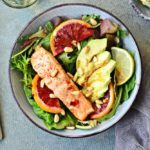 “What we’d like to see is Australian seafood identified on menus, simple as that,” Ms Lovell said. “At a minimum we’d like to see something like Australian Barramundi, but businesses can be as specific as they want. “For imported seafood a simple ‘i’ to denote it’s imported with a clear explanation of what it means printed somewhere on the menu.